Guitar scales are the basis for everything you will ever do on your guitar, but simply learning scales on the guitar, what they are and how to play them won't do much for your guitar playing. What you really need to do is know how to master them, how to use them and create amazing music with them - that is what you are about to do. Which kind of guitar player are you? A. You don't know 'what to do' with the scales you already know. B. You don't know many scales by memory and/or cannot play them fluidly. C. You don't know how to create your own cool guitar solos using scales. All of these things, (A, B and C) are caused by not having a single proven method to achieve the core objectives that we talked about at the top of this page. Most guitar players struggle because they make the mistake of trying to teach themselves to master scales (which almost never works), learn from guitar scale books or other guitar scale lessons resources online (which again never works because those resources are simply a collection of scales and maybe a little theory behind them with no proven way to master apply and create music with them). 1. An efficient way to learn guitar scales all over the neck, not simply in a single position. 2. An effective way to master & visualize guitar scales in all directions: horizontally, vertically, diagonally and in string pairs. 4. Learn to apply all of these things about guitar scales and scale sequences to create your own cool solos and songs. 5. A single proven method to do all of this as efficiently and effectively as possible without wasting your time on stuff that doesn't fully work, or takes too long to master. Most learning resources (including most guitar teachers) don't do any of these 5 things well, and even fewer do all 5 well - if at all. This is why I've created the The Supreme Course To Scales Mastery For Electric Guitar that has been designed to take you through a proven process of learning and mastering guitar scales all over the fretboard, mastering how to perform cool scales sequences that rapidly build your guitar technique and overall speed and finally how to apply everything so that you can consistently create cool guitar solos with all the new skills and knowledge you will master. • You will get great ideas about how to use guitar scales and guitar scale sequences to create cool guitar solos that sound better than combining a collection of random licks. 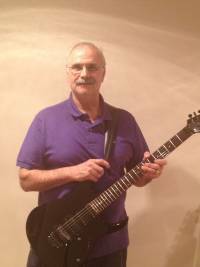 • You will get the proven and reliable system of practice approaches that will enable you to master any scale that you want and integrate that scale with your other lead guitar skills. • You will develop a greater level of fretboard visualization that will enable you to learn, master and apply guitar scales in your guitar playing that will sound like real music and not simply sound like a bunch of boring guitar scales up and down the fretboard. • You will learn the best method to do all of this as efficiently and effectively as possible without wasting your time on stuff that doesn't fully work, or takes too long to master. 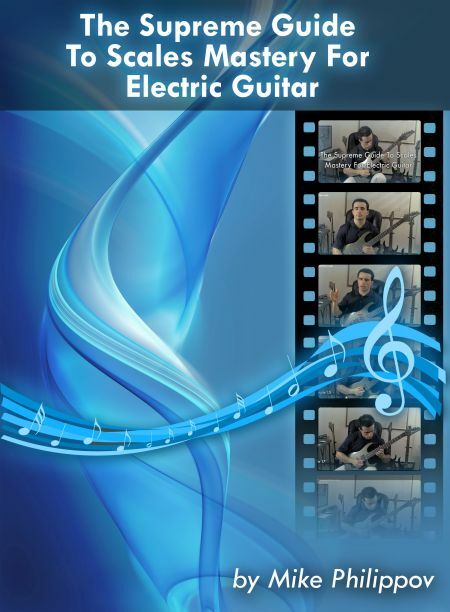 • By the time you make it to the end of this course you will have taken a huge leap forward toward becoming a much more creative musician and you will possess a much higher level of creative and technical freedom to express yourself with your guitar playing. The entire course on a series of videos containing all the explanations, demonstration, scales, scale sequences, ways to practice and master everything and how to apply it all to your own music. The entire course in a PDF file containing all the scales, sequences, examples and the entire video transcript. Exclusive BONUS - How To Build Fast Guitar Speed With Scale Sequences - Video - You are about to learn one of the most innovative, effective and easiest ways to build your guitar speed ever invented. In minutes, you will know how to add this incredible guitar practice speed building technique to your daily guitar practice. In this video you will see exactly what and how to practice your scale sequences to get them faster, cleaner and more fluent. And the best part is, it's applicable to everything you wish to improve your speed on, not just scale sequences. "This product is different from other guitar scale type products you may have seen. It will give you the step by step system that you can use to master any scale and the freedom to play that scale all over the guitar fretboard and to be able to apply that scale to any musical situation." 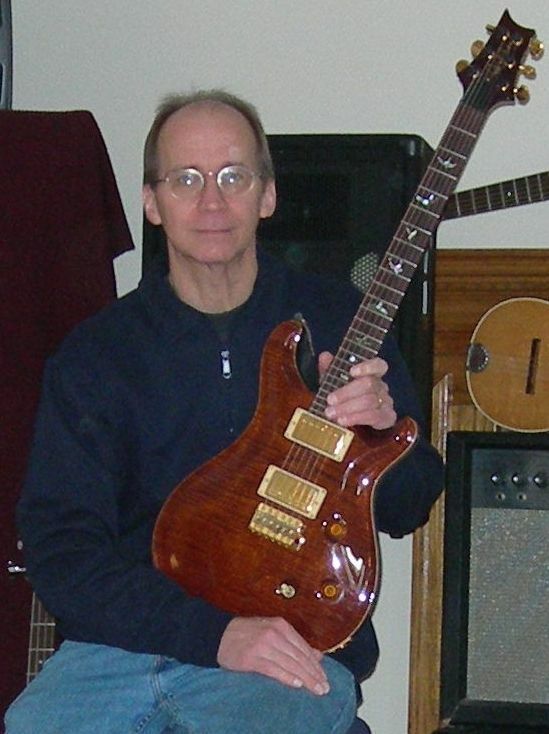 "I have a better understanding now of how great guitar players play all over the fretboard. Before I was just in awe of their playing and how they were flying all over the neck without really understanding any of it or how it was done. Now I understand some of their their secrets. I now understand the major patterns and fingerings as well as the minor patterns and fingerings and how they are interconnected to each other. My playing is still rough and not quite as smooth as I would like it to be but I know that it will come with time and practice. I am getting there...slowely but surely." "The course challenged me to start working on scales regularly. It showed me how much I was stuck in the keys of C, G, and F. I seem to have a better view of the fretboard while soloing. I realize a lot of things I had been playing were bits and pieces of some of these scales and sequences. Now I have expanded my knowledge so I can solo in more areas of the fretboard in any key. My left hand strength seems to have increased a bit, as well as the articulation and speed at which I can play." "Mike explains how you can use scales in a musical way. This way you are not just playing static exercises and running up and down scales - you are actually making music with what you play. He doesn't only show you different scales, but he helps you to understand how to connect them together so that you can play over the entire guitar neck with what you learn." "You may think you know your scales perfectly, but can you REALLY move in any direction from any possible (scale) position without even thinking? If you answer “no” to that, you do need this product." PS: Don't be one of those guitar players who don't know 'what to do' with guitar scales, can't play and use them fluently and can't create their own cool guitar solos. Take the next step that is needed to become the musician you want to be RIGHT NOW!